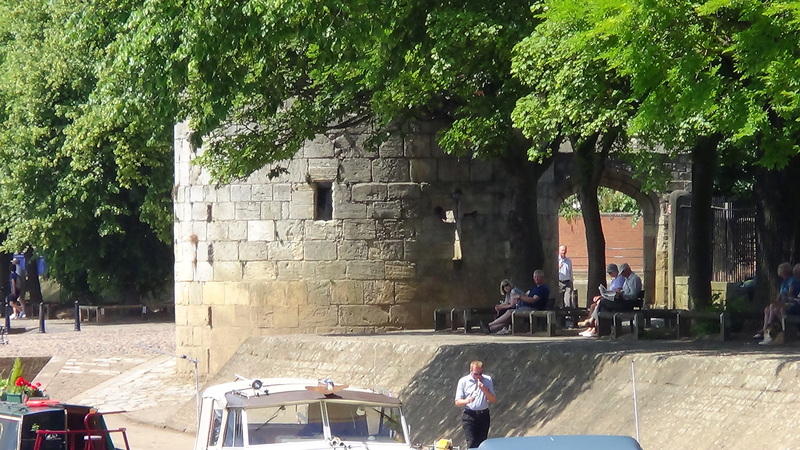 The Abbey of St Mary’s in York is built on the north side of the river Ouse about half a mile from York Minster. 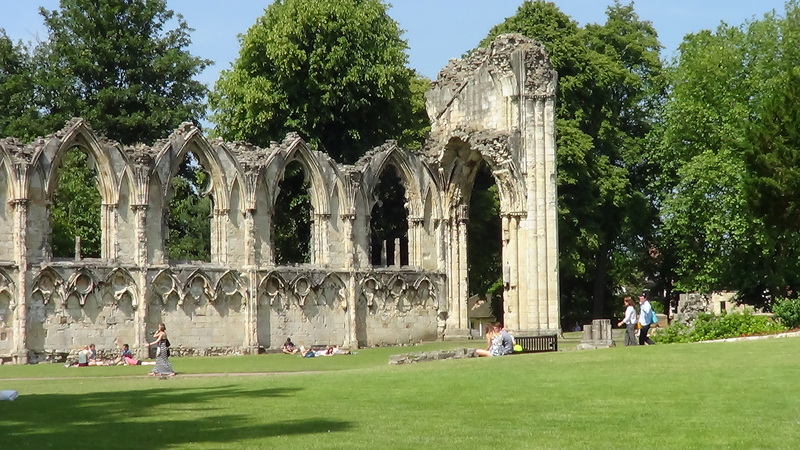 It dates back to 1055, but its prominence begins in 1088 when it was refounded as a Benedictine community on the permission of William the Conqueror. 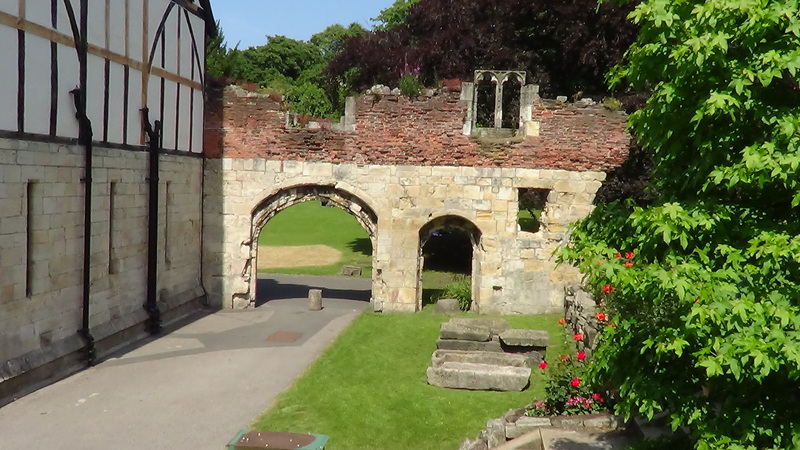 It quickly grew into one of the pre-eminent monastic houses in the North of England and also quickly developed a reputation or its rather lax and lavish lifestyle. In 1132 Prior Richard, together with 13 monks, left St Mary’s to join the Cistercians at Fountains Abbey as they felt that the lifestyle at St Mary’s did not fit their monastic vows. In the 12th century, the now wealthy order built a large extension to the monastery, including a new church and a crenellated enclosure wall. It may be that this new wall was partly built as a response to the tensions and troubles that have broken out between the monastery and the town over rights and privileges and these problems seemed to dog St Mary’s during its entire history so that when in 1539 it was dissolved by Henry VIII, it is said that there was no public outcry at its dissolution. Initially, the buildings were used as a royal palace when the king visited in 1540, but they soon fell into disuse and disrepair. 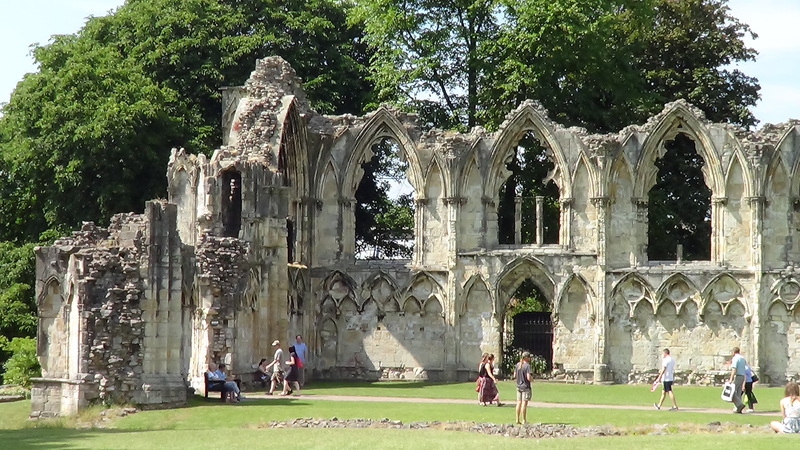 Today the remains of this once enormously powerful abbey are found in the gardens of the Yorkshire Museum. 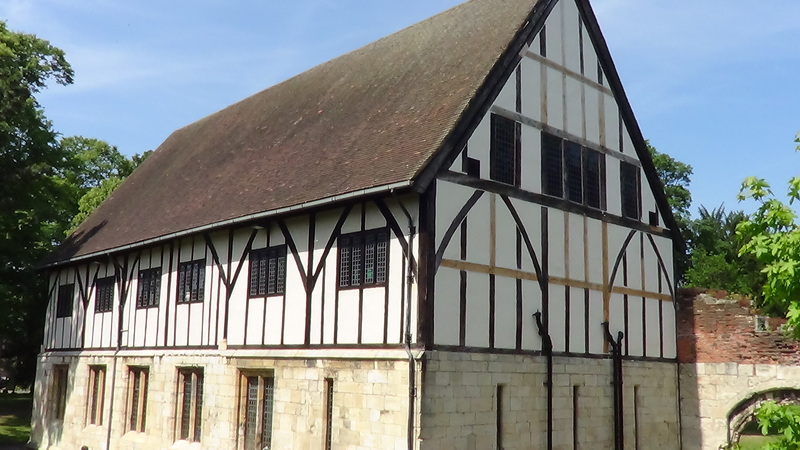 The Hospitium – originally either a guest house or barn in the Abbey. Great! I’ve been there once but I didn’t know any of the history. Very interesting, thanks!